Since having children and reading alphabet books to my daughter, I noticed there is usually not a whole lot of creativity. Many books list A for apple, alligator, or something else completely obvious. Charis recently said, "Yes. I know a is for apple. Why do all the books say that?" 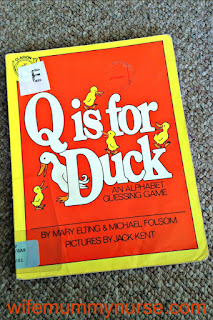 When I found Q is for Duck, my interest was piqued. 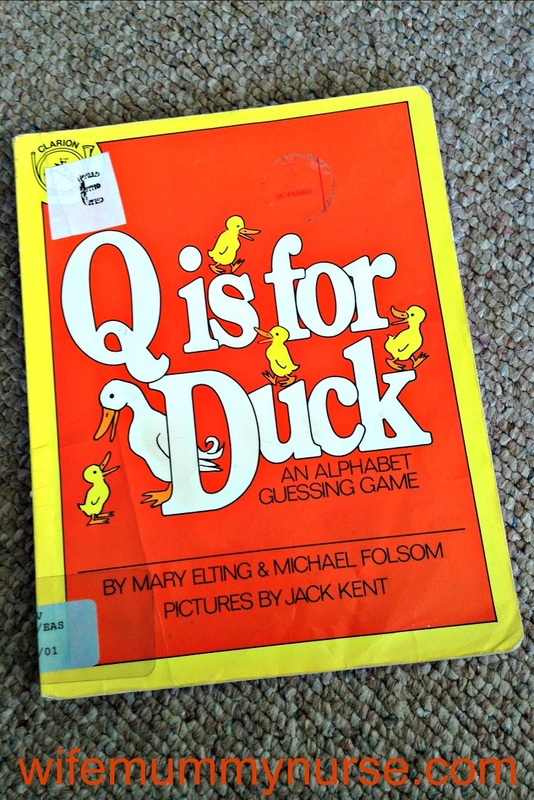 Q is for Duck because a duck goes quack. "A is for Zoo. Why? Because... Animals live in the zoo." The authors go through the alphabet mentioning different animals and have children guess why the animal is that letter. I like how the authors bring the circle to completion at the end of the book. "Z is for animals. Why? Because animals live in the zoo." This book is good for children who want interaction, have a firm grasp on phonics, and basic understanding of animals (where they live, sounds they make, size). I would NOT use this book on a child who is just learning the alphabet, because it may cause confusion. It worked well for my kindergartner; anytime she got one correct, she started clapping. What alphabet books do you like?